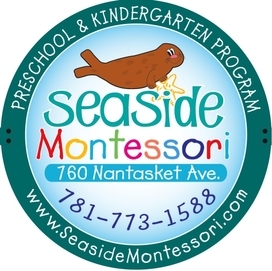 Seaside Montessori provides a 4 or 5 day per week Children's House (preschool & kindergarten) program for children in the age range of 2 ¾ to 6 years. Seaside is also pleased to offer our 3 day for 3's program. Children 3 and under are able to choose a 3 day option to start them off at Seaside. We offer a choice of full day, morning half day, and afternoon half day options. Seaside's location is convenient to local commuting depots. We welcome you to review your options and associated costs available on the Tuition Info pages. Please don't hesitate to contact us if you have any questions. As Seaside is a smaller program we have less resources available to us and therefore are not able to offer financial aid at this point in time.